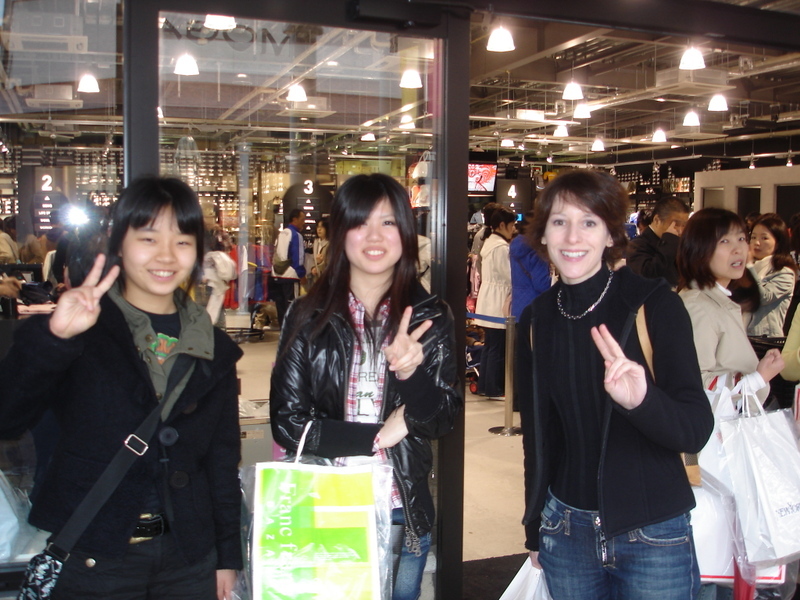 The Kobe-Sanda Premium Outlet shopping experience was fun! 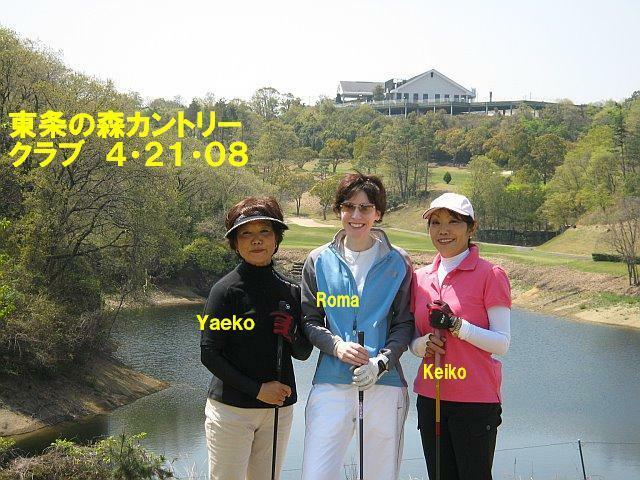 The stores were a good mix of Japanese, American, and other foreign manufacturers. 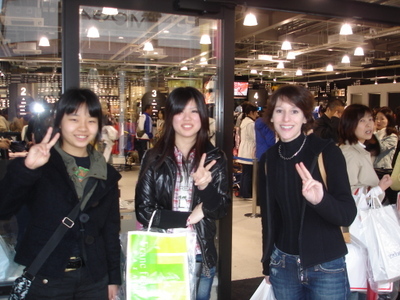 We went into many different kinds of stores and practiced English. We talked about fashion design, trendy styles, and fabrics. We all gave our own opinions on what styles we liked and disliked. Franc franc was fun too because there so many neat gadgets and things for the home to talk about. 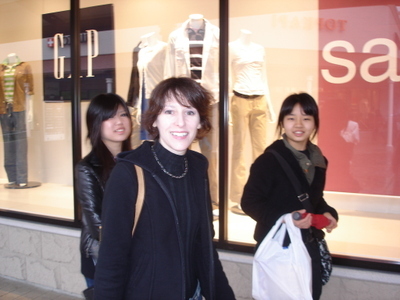 I really enjoyed the Sony Plaza which had a lot of imported sweets, like my favorite chocolates, Hershey's. After a short pitstop at Starbuck's for an afternoon snack, we finished our excursion by window-shopping for designer shoes and handbags. 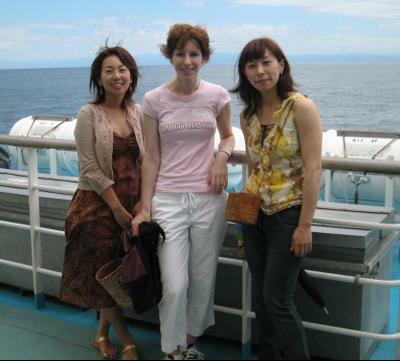 An afternoon boat cruise on the Luminous Kobe 2 cruise ship with Takako-san, Roma and Yoko-san. 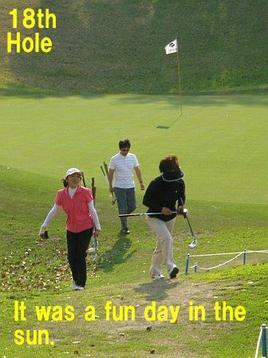 We started at the Meriken Park Oriental Hotel, passed under the Akashi Bridge and turned around just after Awaji Island. Kobe city looked so beautiful!